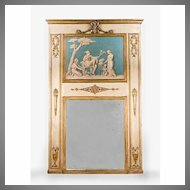 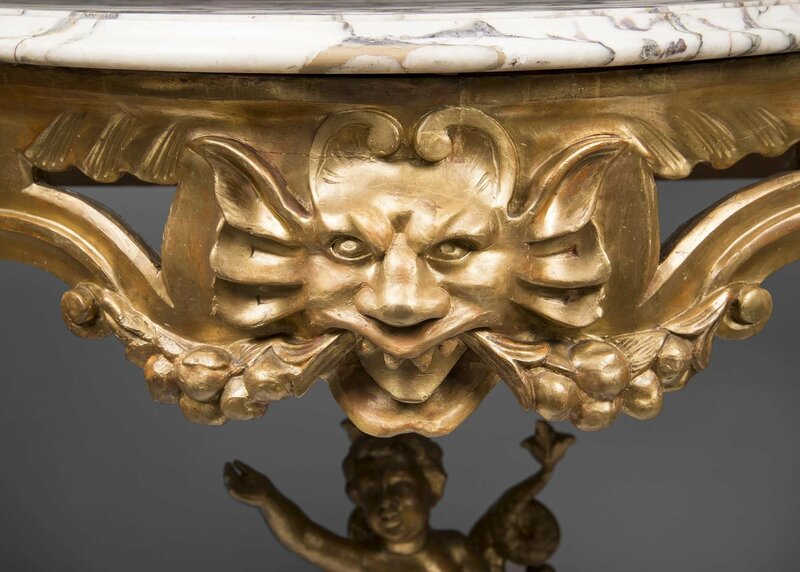 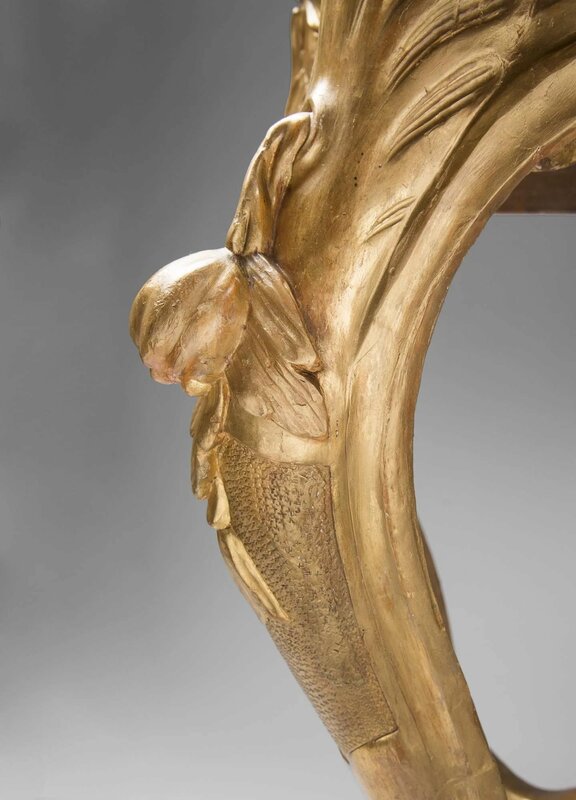 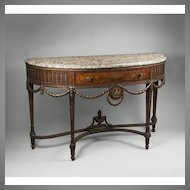 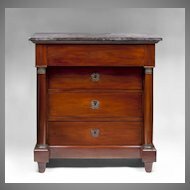 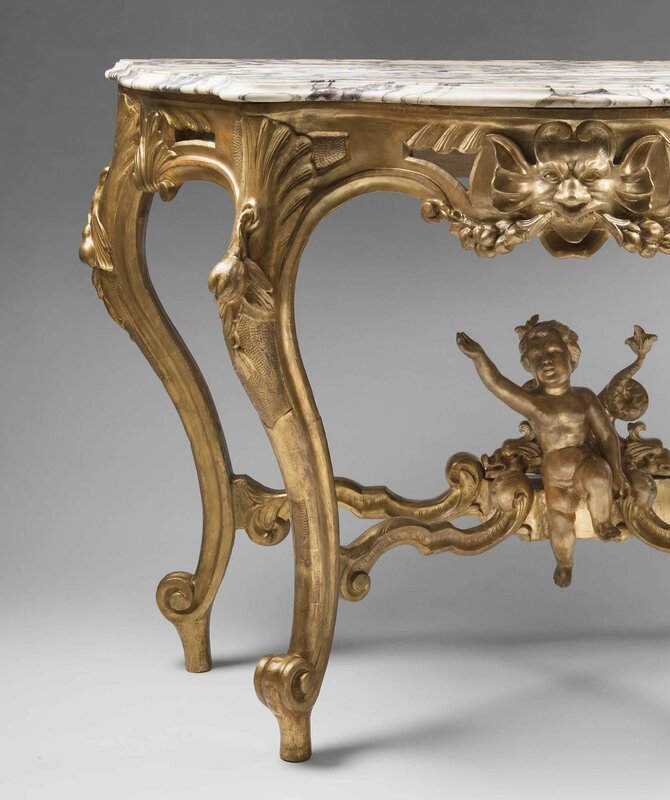 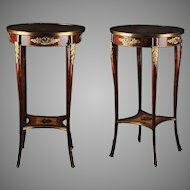 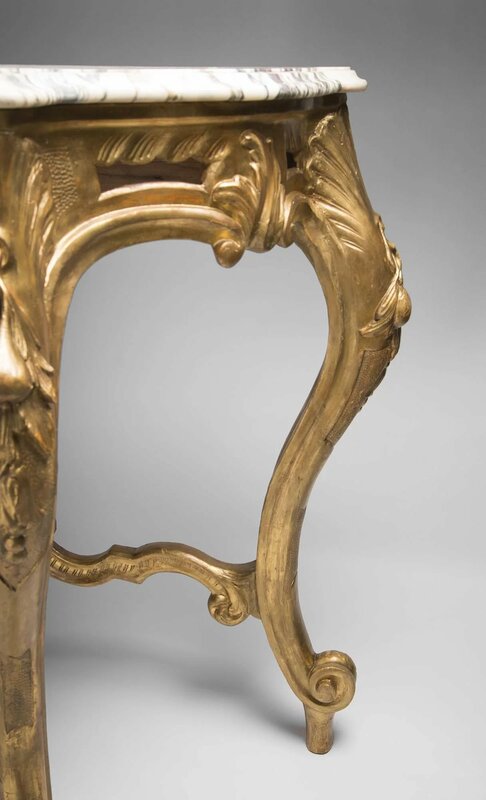 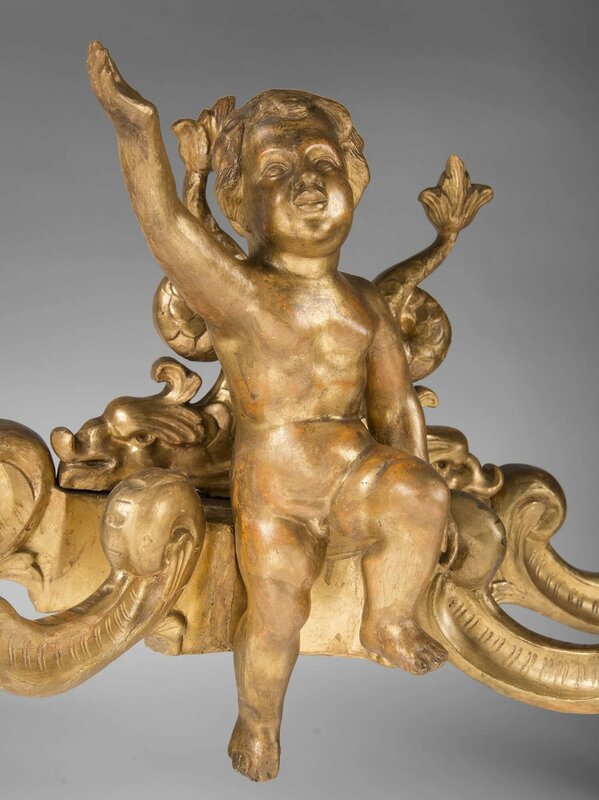 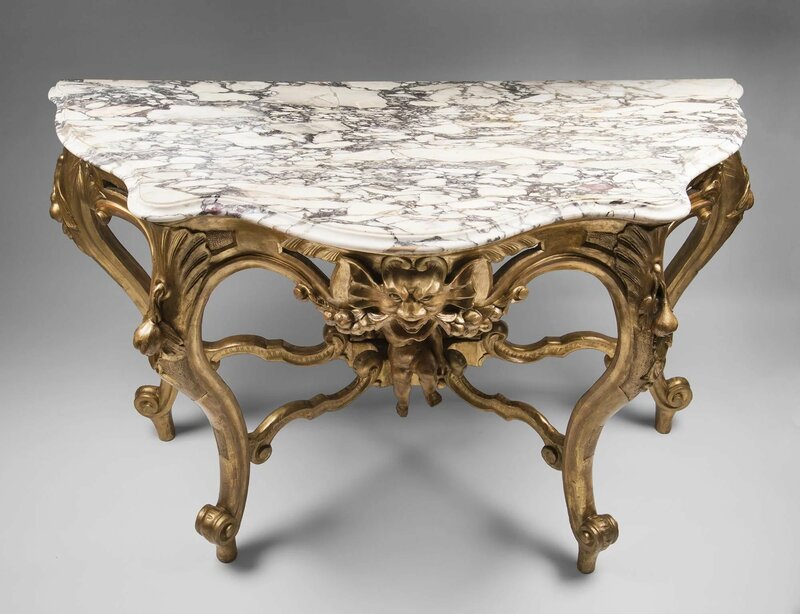 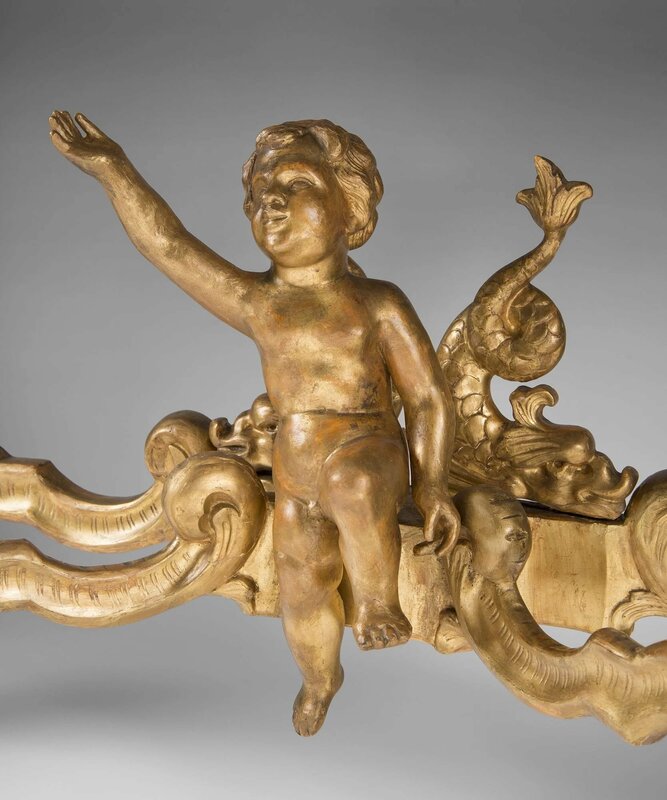 Presenting for sale is an 18th century Italian giltwood console table with marble top. 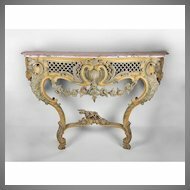 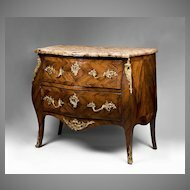 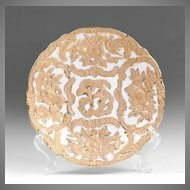 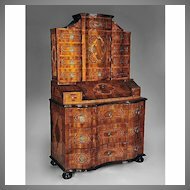 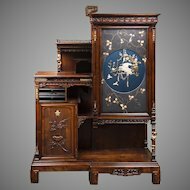 The serpentine shaped frieze is hand carved with fruit and scrolls centered with a mask and flanked by supporting cabriole legs. 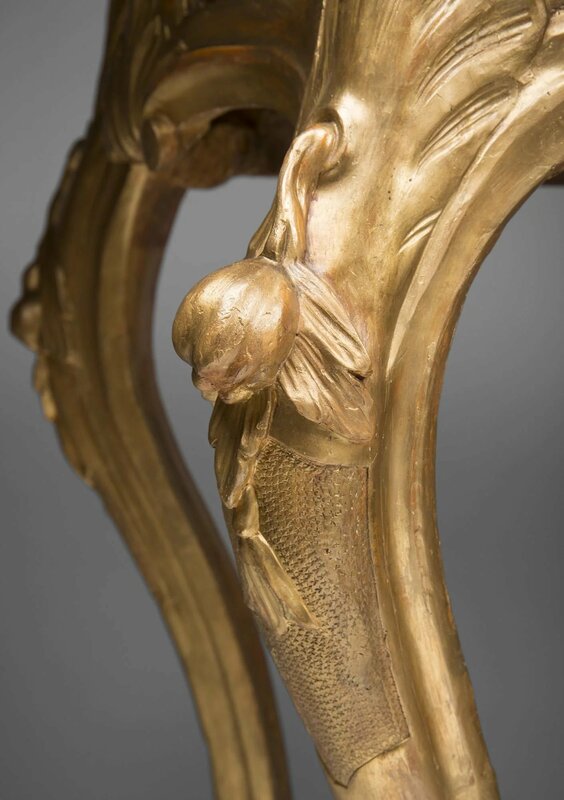 The base is connected with a curved stretcher centered with a Putti flanked by mythical dolphins. 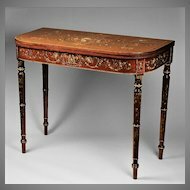 The console is in excellent condition. 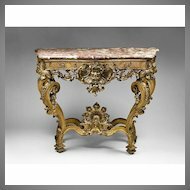 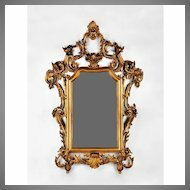 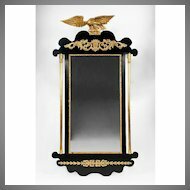 There has been professional restoration to parts of the carving and gilt finish both for the aesthetic elements and for stabilization. 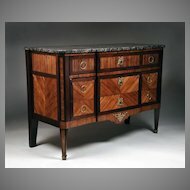 Size: 52" Width, 35 1/2" Height, 21 1/2" Depth. 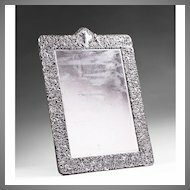 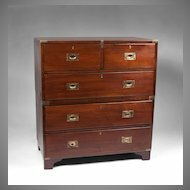 SALE - Many items marked 50% off or more, items added every day. 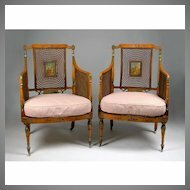 Lay-a-ways not applicable on sale items.